As you know this week we have been covering ways to help protect your children online and with PC’s in general. 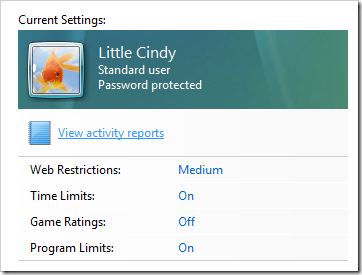 Vista includes the feature Parental Controls which help in making those tasks easier. 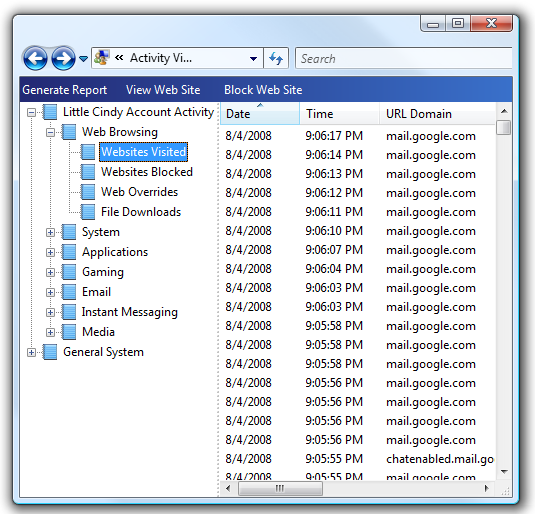 So far we have covered How To Block or Allow Programs, Limit Time Kids Can Use The PC, and How To Block Certain Websites. The are good tips and seem to work pretty well for younger users. However, once the children of this technology age get a bit older and learn to adapt more sometimes it is hard to determine what should or should not be controlled. That is where today’s tip comes in. 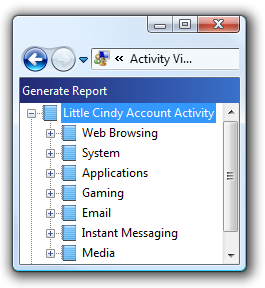 Here I will show you how to use Activity Reports to determine what you want to block or not block. 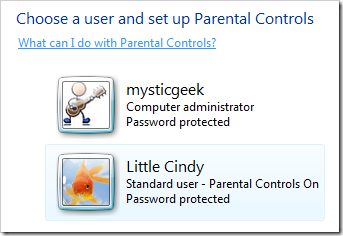 To access this report again go to Control Panel and click on “Set up Parental Controls for any user”. Now click on the the user account you want to administer. Ok, now we want to choose View Activity reports under their profile, it may take a few moments for the report to generate. This report will cover several items, some of which may surprise you or not. 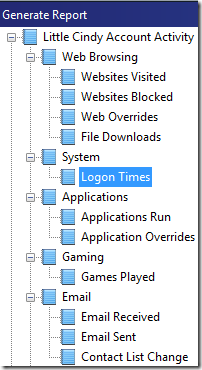 Either way this is a great tool for determining which functionality to add or disable. The first thing to look at in the report is located in the upper left hand corner. This will include detailed information about their Web Browsing, Email, Instant Messaging, etc. As you can see it is laid out in a simple expandable tree format. Under each sub-category the list can be quite comprehensive. For instance looking at Websites visited on this list produced well over 1,000 results and this was just after a few hours of browsing. 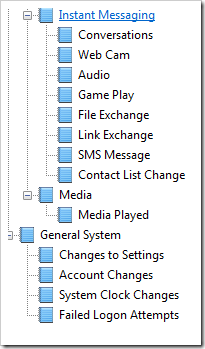 But as you can see there are several topics you can view to gain a more clear picture of what they are using the PC for. Here is a complete expanded tree view of every thing you can look at and get a report on. As you can imagine this report is very handy when they try to deny they were at a certain site or running a certain application but you have the evidence! So far we have covered ways to monitor and protect children with the PC and while online using Windows Vista. In coming features in this series we will look at what we can use to get similar results in XP as well as other precautions to take using 3rd party applications and services.